Have any of you played in other bands? Each one of us did. We are all involved in various projects, and have played together in same tribute or covers bands too. How is it that you started playing music? When I was a kid, I've heard, at my grandparents home a piece of Vivaldi that provoked a shock and came straight to my soul. I remember I've cried this day. So I asked for a violin, and I started classical studies at the age of seven, until I reached my master degree. Later on, I discovered rock music and I decided to pick up a guitar to play the music of my favorite's bands. I also tried differents instruments as piano, bass and drums. I started very early, at the age of fourteen to play in different bands on stage, and I never stopped since. I've done many gigs to earn my life as a musician in many cover bands while I was composing on the other side. I had the chance to open concerts for artists like 'Fish' or 'Dr. Feelgood', and many other famous french bands. 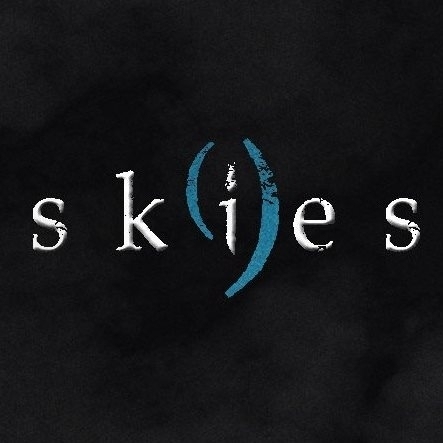 I teach violin and guitar now in England, and I focus on our band 'Nine Skies'. What are your names? / Who plays what? There are two singers, Alexandre Boussacre and Freddy Scott. Their tone of voice are different but match together very well. Alexandre Lamia is the co-composer of the album and a young genius playing different instruments on it, such as guitar and keyboards. At first, I wrote the lead guitar parts, but I decided to ask David Darnaud to record them in regard of his finger play and his beautiful sound. Anne-Claire brought the concept, wrote the lyrics and plays keyboards on some parts. Bernard Hery is a brilliant bassist in France, also present on the tracks. Fab Galia brought his rock experience on drums and his shades on the songs. Laurent Benhamou plays the saxophones to bring a jazz atmosphere. Penny Mac Morris plays flute on two tracks to add to the colour. Have you had other previous members? The previous release was turned toward a metal atmospheric music, and I operate a radical change for this album, with a totally new line up, and a new artistic orientation. On the first release, (EP), there was Alienor Colin, a female singer that was featuring as a guest, And Philippe Sovieri on bass guitar. Where are you from? We are from Nice, south of France. What year did the band form? The band was orignally formed in 2012 and was composed by Anne-Claire and myself. We released the first EP in 2013. But as I said, we decided to take another musical direction and the new line up was born in 2017, with our album « Return Home ». What's your style of genre? My inspirations comes from many different artists and many different styles. You might not hear it at first in the album, but I have a true love for the classical and baroque music, and composers like Bach, Vivaldi, Pergolese Haendel, Corelli … and contemporary like Stravinsky, Ravel, Moussorgsky, Fauré. I also listen a lot of blues, jazz, heavy metal, rock, cold wave … and in the progressive music style my references are bands like Camel, Genesis, Emerson Lake and Palmer, Pink Floyd, Soft Machine, Steven Wilson, Marillion. When I started to compose the album, I think my progressive background naturaly came as a source of inspiration. Some jazz elements were added too in my will to create different textures and musical colours. Of course, Alex Lamia and each musician also brought their skills and influences into it. So I think despite the fact we are under the « progressive » category, our music reflects a lot of influences. We released a first EP under the name 'Nine Skies ', but 'Retun Home' is truly our first album. It's a concept between the music and the lyrics, in the style of the progressive rock music. The diversity of the bands influences allows to express various feelings while preserving a coherence to this modern musical tale, thanks to a well-defined personal identity. We made a mix between different styles of neo prog and also jazz elements. Do you have other interests of work outside the band? I have a true passion for medieval history of our both countries, France and England. I think it came along all the travels we did in Europe with my grandparents. At first I learned of all I could about the kings and queens of France starting with Clovis in 482 and then the English ones with the Saxon kings until the Windsors. Despite of the wars beetween France and England our countries are deeply connected, at first with the northman William the conquerer, then Alienor d'Aquitaine and her son Richard Lionheart, and then the royal weddings of Isabelle Valois with Edouard the second and all that followed. I always try to read books about history and architecture as I was very impressed when I discovered for the first time the Westminster Cathedral. I appeciated to visit the beautiful city of Oxford and Edimbourgh in Scotland too. I admire painters from the renaissance period and I am naturally born curious about all that approches art in all ways. Anne-Claire loves philosophy and literature. But I think I can say we are all interested in a lot of things and various subjects, always curious to learn and discover. Are you looking for a booking agency, and what are your thoughts around that? It's not an easy thing to get live dates, especially when you have 9 musicians ! So of course, it would be a great help to get a professionnal booking agency. I started communication about the album and I sent it to the major musical festivals of progressive rock music such as Loreley, Be Prog in Barcelona and many others in Europe and United States. I also asked my friend from 'Imago Records' to settle a venue for us in France. We worked already together when I opened the show for Fish with our french band 'Damnation'. It was an acoustic tribute to Opeth at the time. We hope to get the chance to be seen on stage as soon as possible and get as much public as possible in regard to follow us. The true life of a band is on stage and we hope the music of Nine Skies will be enough appreciate by the promoters to give us a chance to play quickly. We all have a strong experience of playing in front of public in Nine Skies, but each musician with their different projects. We can't wait to do that all together with our band now. Are you looking for a label, and what are your thoughts around that? We re woking with the french independant label called « Anesthetize » : http://www.anesthetize.fr. Guillaume Beringer did an incredible job since the beginning! I think there's a lot of incredible bands and musicians, and of course it would be amazing if our music can evoke any intesrest from a famous label, but I mean … that's not the point. We enjoy to get freedom while creating the music we love. The album relates through the eyes of the protagonist the life of different characters from a contemporary big city. Sometimes metaphorical, sometimes particularly realistic, these different existences show the absurdities of our current world and the way to live with the sufferings. Who does the composing and writes the lyrics? Alex Lamia and myself composed the song, and Anne-Claire wrote the lyrics. Do you start with the music or the lyrics? It depends of the song. There's no rule about that. Do you compose in a certain inviroment? Alex Lamia and I worked both on our side to create the songs each one of us in our home studio. choose the vst sounds of the keyboards. We used many different professional plugins and symphonic sounds, but for the acoustic intruments such as flute, guitars, bass guitar and saxophones we used our performant microphone system to get the real tone from them. At first on the demo the drums we recorded where synthetic but after a small crowfunding we have been able to record a real one with Fab Galia in a great studio owned by my friend Stéphane Brunello. We got back from the studio toward Alex Lamia and he proceed on the arrangements before mixing and masterising the all album. It has been a bit long to find the good balance between all the many different instruments but at last we did it. What language do you sing in? English ! French is a beautiful language but I find it very difficult to make it sounding great for this kind of music. What was your first gig like? We are working on booking few dates. We did not play live yet, as we were really focused on the album. We would like to have the chance to play very soon on stage and get a maximum of people to listen to our music. I hope they will like it enough to become a great support for us and new fans of the band. We were played on a Canadien radio station and what a great feeling to know our music was listened overseas. Where can people buy your merchandise? You can order the album via Anesthetize or download it on bandcamp or every online platforms as itunes, deezer, amazon etc. What do you think about people downloading music instead of buying records now a days? There's so much bands and great artists to discover … but the good point is that most often, music lovers are downloading music to discover it, but when they really like a band, they buy the music. How do you think the music industry have changed because of this? I think live shows are clearly what can keep a band alive nowadays. Music industry had to adapt itself, and you can't keep a band alive withtout touring. I think that's the point of a band, to play live and share with people, so that's quite fair. What do you think of my work? I know this is a hard work you are doing, because we are doing a lot by oursleves behind and on top of our music. Anne-Claire was used to write reviews few years ago too. So thanks for your time, because you clearly help artists to promote. How do you think and know that this interview will help you in the music business? Music is not enough nowadays. As I said, there's so much great bands, and promotion is a big part of the work too ! Do you have any role models or idols? They are too many « legends » to name them all but for me … in Baroque music Vivaldi is my favourite, for Prog music Peter Gabriel, for Jazz Pat Metheny, for blues Stevie Ray Vaughan, for metal Black Sabbath etc. We all find inspiration listening to a lot of great artists. Anne-Claire finds a lot of inspiration listenning to Steve Hogarth and Marillion, Steven Wilson, and bands such Pink Floyd, Led Zeppelin … Alex Lamia is pretty keen about listenng musical movies composers, as Hans zimmer … he composes a lot of cinematic music himself, on top of Nine Skies. Why do you think that they exist? can sometimes inspire us beyond the music. Is it easier to find inspiration from older bands, or bands that are more active today? We try to choose our own path but inspiration can come from both. What advice would you give other bands or artists? If they think what they do is right, just follow their instinct and never give up despite whateveer other people think about it. Just enjoy, this is the point of making music ! Do you have any new material? A special edition of « Return Home » is on its way and will be released soon, including a special artwok and bonus tracks. I already have a few creations in our store for a future album, same for Alex Lamia who works also on his side on new material. We might call other musicians as guest on it too, and why not a great name from the prog rock music, dreaming is not forbiden as far as I know ! Anne-Claire will have to think about a new concept for the lyrics and she will once again have a lot of work with that. How can people reach you? By email, facebook, youtube, any way they can find ! We are always happy to share with people ! What are your plans for the future? Well … the first step is to release the special edition of « Return Home, then a video clip for the track « Season of Greed ». After that, we will finalize and release the second album, and of course find some dates in order to begin live shows ! Do you have something to add? We would like to thanks all the people for their support so far. We've got a lot of support since the beginnng, with friends and crowfunding for the first release of « Return Home », then a lot of good reviews and promotion : inteviews, radio shows … and new people liking and sharing our music every day ! So thanks to you all ! !